Nicholas Michael Smith, OBE, is currently the Artistic Director and Chief Conductor of the Peking Sinfonietta and the International Festival Chorus, both based in Beijing, China. Under Mr. Smith’s direction, the Peking Sinfonietta is now widely recognized as offering some of China’s most innovative programming, while the International Festival Chorus is acclaimed as the PRC’s best choir and the only group in mainland China working consistently to introduce the western choral-symphonic repertoire to Chinese audiences in Beijing and beyond. Mr. Smith has worked with many groups worldwide, including the China Philharmonic Orchestra, the China National Film Symphony Orchestra, the Shanghai Philharmonic Orchestra, Les Percussions Claviers de Lyon, Teatro Lirico di Spoleto and the choirs of Cornell University. Over the last 12 years, Mr. Smith has conducted and helped to bring about numerous concerts of significance to the development of western music in China, including PRC first performances of works ranging from Bach’s St John Passion to Elgar’s The Music Makers, as well as the PRC’s first ever fully staged Broadway musical Lady in the Dark which featured stars from London’s West End. Mr. Smith holds a degree in music from Cambridge University, England and studied conducting and composition privately with Reginald Thompson. Mr. Smith holds both artistic and academic appointments. 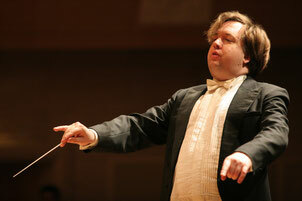 Since 2007, Mr. Smith has been a professor of the Conducting Department of the China Music Conservatory. Mr. Smith was appointed an honorary professor of the Tianjin Music Conservatory in 2011. In 2011, Queen Elizabeth II bestowed on Mr. Smith the honour of Officer of the Order of the British Empire in recognition of his services to music in China and to Sino-British relations.